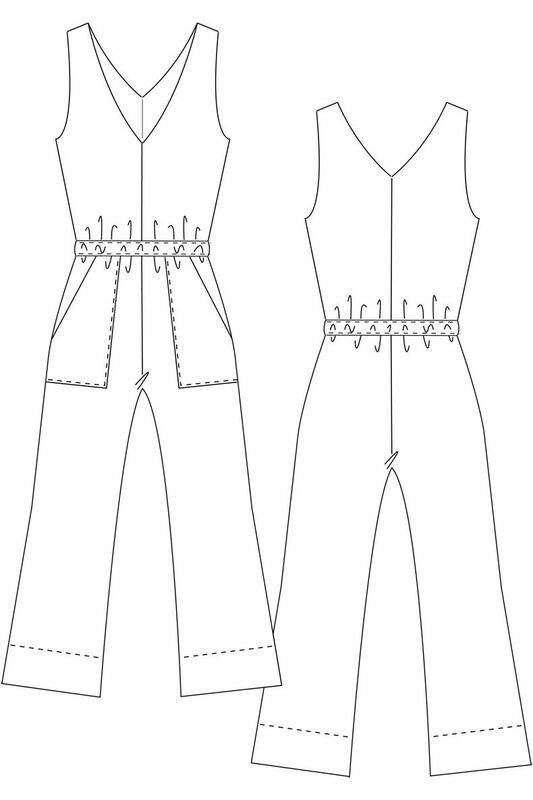 Sewing Pattern Carla Jumpsuit is a loose jumpsuit with wide cropped legs, a V-neck on the front and back and an elasticated waist casing. Marijana, the model, is 175 cm high and wears size 36. Share your makes on Instagram tagging #carlajumpsuit @schnittchenpatterns !